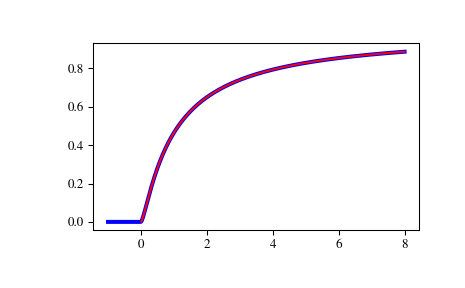 Cumulative distribution function of the non-central F distribution. where \(X\) and \(Y\) are independently distributed, with \(X\) distributed non-central \(\chi^2\) with noncentrality parameter nc and \(d_n\) degrees of freedom, and \(Y\) distributed \(\chi^2\) with \(d_d\) degrees of freedom. Degrees of freedom of the numerator sum of squares. Range (0, inf). The calculated CDF. If all inputs are scalar, the return will be a float. Otherwise it will be an array. Inverse of ncfdtr with respect to dfn. Wrapper for the CDFLIB  Fortran routine cdffnc. where \(I\) is the regularized incomplete beta function, and \(x = f d_n/(f d_n + d_d)\). The computation time required for this routine is proportional to the noncentrality parameter nc. Very large values of this parameter can consume immense computer resources. This is why the search range is bounded by 10,000.